Europe has a wide choice of Christmas Markets, here are our top picks. 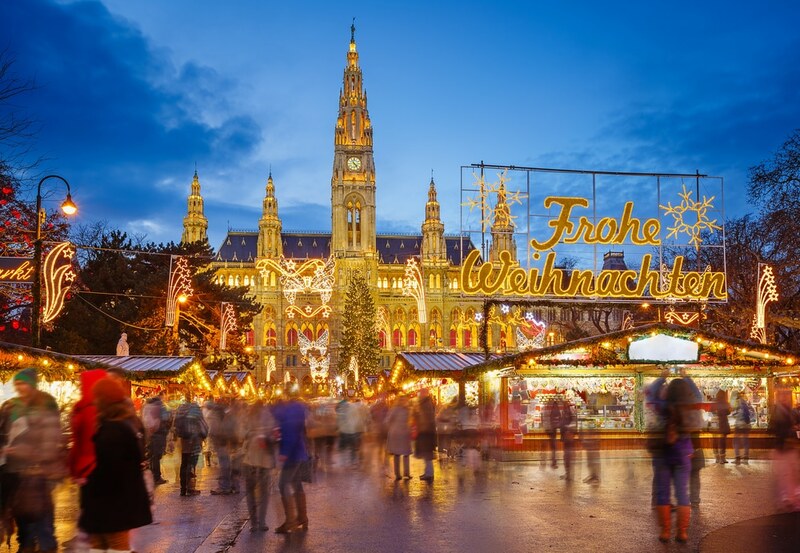 Our favorite Christmas market destination is Vienna. Why? Apart from the fact that it is a stunning city, there is a wide variety of boutique and individual Christmas markets. Our favorites include the Christmas Market on Spittelberg, located just behind the Museum Quarter. The market is in a labyrinth of streets and is busy with locals, plus there are plenty of good local restaurants for a pit stop when you are tired. The other Vienna favorite is right in front of the Kunsthistorisches Museum, the Christmas Market on Maria-Theresien Platz where you can also enjoy a Christmas choir. This market, like the one at Schönbrunn, reopens after Christmas to make a “New Year’s Village” – so you get to enjoy the mulled wine for a few extra days. Schönbrunn is also probably the most family friendly market, as they have an extensive children’s program. Last year, kids could make marzipan ornaments! Extend your stay in Austria and visit Salzburg. The Christmas market is beautiful, and an added highlight here is to visit the Silent Night Church in nearby Oberndorf. 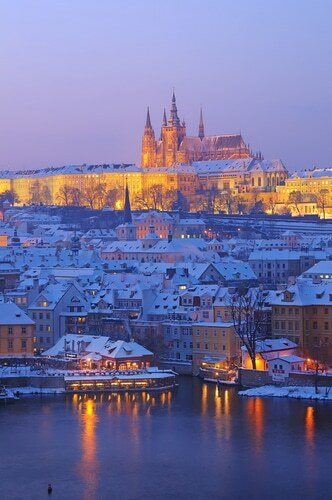 One of the most romantic cities in Europe, Prague is never more magical than in the winter. 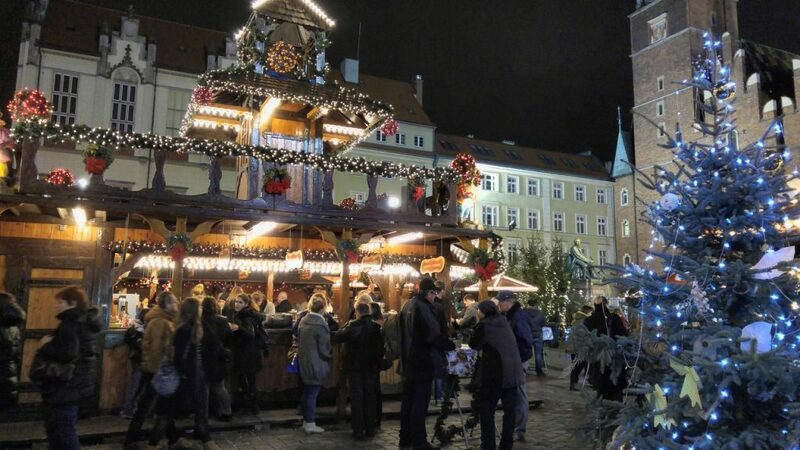 The largest Christmas markets in Prague are in Old Town Square, and (what could say Christmas more) Wenceslas Square, but there are also smaller, hidden ones, up in the Castle or on the Kampa Island. Buy carved wooden toys, Bohemian glass or marionettes and traditional straw and maize gifts. Prague churches display beautiful nativity scenes, a tradition that goes back to the Middle Ages. Krakow, Warsaw and Wroclaw all have picturesque Old Town squares that play host to the Christmas markets of Poland. People tend to forget Poland as a Christmas destination, but it has some of the most beautiful and authentic markets we have experienced. The street food is excellent, as are the local handicrafts: hand blown glass ornaments and gingerbread that is simply out of this world! Plan a Christmas market tour of two or more countries and take advantage of our Exeter Exponentially program that includes fabulous hotel upgrades and complimentary touring.